A decision to name an airport in southwest China after a local spirits brand has provoked widespread derision online and controversy around the country, reports said Sunday. Authorities in Yibin, in Sichuan province, said their move to name the new airport “Wuliangye” after a local liquor would have a positive impact on the city and the company. A Yibin government spokesman said the State Council, China’s cabinet, had approved the decision, the Global Times newspaper reported Sunday. 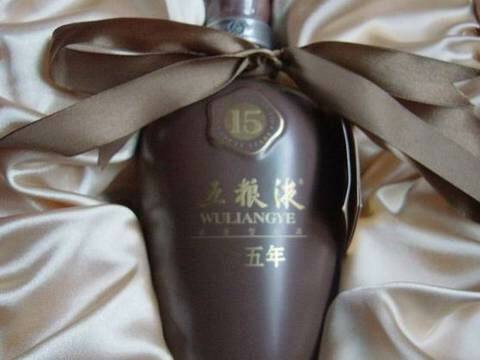 Wuliangye is a well-known top-end spirits brand in China. Its eponymous flagship product is a white spirit made from the distillation of five grains, including sticky rice and sorghum. The group has more than 40,000 employees, according to its website, and the company is based a few kilometres (miles) from Yibin airport, which according to media reports will have a capacity of 800,000 passengers a year by 2020. Various experts quoted by newspapers said that christening an airport with a trademark contravened both the law and the custom that airport names should refer to their geographic locations. Chinese Internet users waded into the controversy with derision. “Ha, ha, another new example of the collusion between the government and the business world,” Wu Yupeng mocked on his Sina weibo microblog. This week, the Shanghai-based research firm Hurun Report issued its latest list of the world’s most valuable luxury brands, and alongside global stalwarts such as Louis Vuitton and Hermes in the top ten were two Chinese standouts — the baijiu distilleries Maotai (茅台) and Wuliangye (五粮液). In all, French brands accounted for four spots in the top ten, Germany and China two each, and one each from Italy and Switzerland. Breaking categories down further, the list was composed of four fashion brands, two auto brands, two spirits brands, and two watch brands. Noticeably absent from this year’s list were Apple — which would have topped the list, had it been considered a luxury brand this time around — and the Chinese cigarette maker Zhonghua (中华), which would have ranked sixth, ahead of Chanel. Maotai has had a very uncomfortable relationship with the word “luxury” for quite some time. In November 2011, stories broke among Chinese media that Maotai would apply to be listed as an “international luxury brand.” As the story went viral, Maotai Group Honorary Chairman, Ji Keliang (季克良) denied that Maotai had such plans, saying he is “opposed to Maotai baijiu being referred to as a luxury good.” In response to Maotai’s statements, Wuliangye Group chairman, Tang Qiao (唐桥) said his company’s baijiu also is not a luxury good, saying that wines like Chateau Lafite — which see massive price fluctuations — belong in the luxury segment. Funny coming from brands that produce bottles of baijiu that (when new) can cost US$20,000 or more per bottle, or (at auction) 20 times that. Still, the humble statements put out this week by Maotai and Wuliangye aren’t that surprising from a Chinese perspective. As Future Marketing Advisory Group (未来营销咨询集团) chairman Li Zhiqi (李志起) told Jinghua Daily (京华时报) yesterday, though brands like Maotai and Wuliangye count as luxury brands purely from a price standpoint, they lack the “luxury brand genes” of a Gucci or Mercedes-Benz. As such, they’ve got a great deal of brand-building left to do before they can stand alongside European luxury giants. As Li added, since they don’t have the global draw of other brands on Hurun’s top ten, and are infused with “Chinese-ness,” the actual brand value from a worldwide standpoint of Chinese brands like Maotai and Wuliangye are not yet clear. 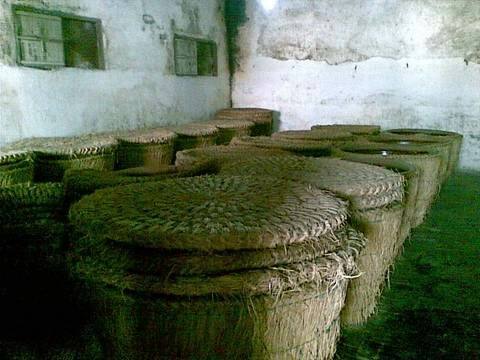 Wuliangye Baijiu in process of fermentation. Altogether, it’s been an interesting week for the “non-luxury-brand” Maotai. Another list put out this week by the Hurun Report — focusing on the top ten high-end brands for Chinese millionaires to give as gifts — listed Maotai as #5, just ahead of Apple. China has an over 5000-year history of wine brewery. In China there is a legend of “Du Kang making the wine”. Hence wine is also called Du Kang. About three thousand years ago, the Chinese people in the Shang and Zhou Dynasties created compound zymotechnics of yeast and brewed yellow wine on a large scale. About one thousand years ago, Chinese people in the Song Dynasty invented the method of distillation. And since then distilled spirit has become the main type of wine in China. In the thousands of years of civilization, wine has permeated almost all aspects of social life. In ancient time wine was something indispensable for all important occasions, otherwise the rites could not be reckoned as completed. There must be wine for every important festival, which could increase the atmosphere of festivity. There must be wine for wedding ceremonies and funerals. Some monarchs had their empire lost because of their addiction to wine while some scholars left behind masterpieces after drinking wine. Wine is no longer something to be understood as purely material, it has evolved into a culture that plays an important role in social life. Du Kang was regarded as the forefather of wine production in China. So the Chinese people of later generations usually call wines “Du Kang”. It is said that Du Kang was also called Shaokang and lived in the Xia Dynasty about 3900 years ago. He lived on graze when he was young, and often forgot to have meals which he brought and hung on the tree. Later, he found that the taste of meal he left on the tree had changed, and the juices were especially luscious. This interested him and made him think and study again and again. Finally, he learned the principle of natural fermentation and tried to improve his method. At last, a complete method of wine production was invented. Although this is only a legend, Du Kang was still regarded by later people as the forefather of wine production in China. Furthermore, wines are named “Du Kang Wine” by some people. Stories of “Du Kang Getting Eight Immortals Drunk” and “Du Kang Getting Liu Ling Drunk” all are famous stories about the wine. Cao Cao, a famous king during the Three Kingdoms period, wrote in his Short Song that “What can eliminate my melancholy? Only Du Kang” It is said the winebibber Li Bai, a famous poet of the Tang Dynasty, once made a special trip to Yichuan to look for the trace left by Du Kang. Numerous heroes were once infatuated with Du Kang wines. According to a legend, the site of the wine production by Du Kang is the Du Kang Channel seven kilometers northwest of the city zone of Baishui County, Shanxi Province. Baishui County is also the hometown of Cang Jie and Cai Lun. It is said that Du Kang was buried beside his wine production site, and that his tomb exists still. In addition, it is also said that a Du Kang Temple was built behind his tomb, where a stele was set to commemorate and praise the forefather of production of Du Kang wine. King Zhou of Shang Dynasty completed the most extravagant drinking in history. The king ordered his people to build a well to be filled with wine. Some people into the well to drink, and because some drowned from alcohol fumes, later ventures of this sort tended to be of lower alcohol content and in larger hot springs with potable water or pre-heated in sauna form pools in open air areas. Swimming and drinking would begin AFTER alcohol content was deemed low enough that the fumes would not overcome the swimmers. Combined with incenses (some of which included organic drugs of a milder type, the wealthy of the earlier era tended to end up (due to absolute power, lack of seperation of powers which led to immense cronyism and nepotism, i.e. the nobleman who was also the general controlling the military AND the main politician who set policy often ended up over-indulged and unable to think or strategise clearly, leading to the downfall of many a dynasty. In the 38th chapter of the Dream of the Red Chamber, Daiyu feels slight pain in the heart after having some cold-natured crabmeat. Hence she feels like some liquor. 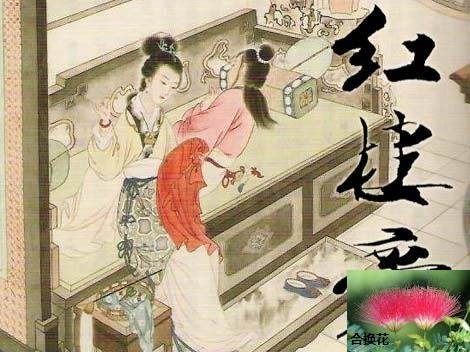 Baoyu hurriedly asks for “liquor in which 合换花 (hé huàn huā or Mimosa Tree Flower) is marinated.” As a little white flower, 合换花 is effective in soothing the nerves and relieving depression (much like the Eastern version of Camomile, only less harsh). Not only can 合换花 dispel cold, but it is also effective in treating Daiyu’s sentimentality and insomnia. Tusu Liquor. In the Grand View Garden, it is customary to present Tusu Liquor on New Year’s Eve. Besides, it is also a type of health-preserving alcohol for Baoyu and others. 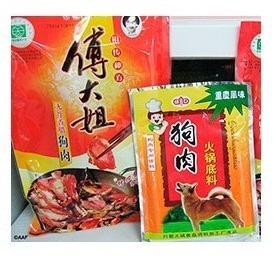 It is effective in dispelling cold, dispersing damp-heat and preventing diseases. Bayou is especially fond of yellow wine as a kind of health-preserving alcohol. Mild in nature, the yellow wine is not harmful to one’s health but instead very nutritious. As a result, it is very popular among people in the Grand View Garden. ICCR Notes : This aspect is stressed and noted by ICCR, that the proposed Constitutional Monarch be entirely separate from Religion (to prevent Theocracy), Politics (to prevent Cronyism and clique forming), Military (to prevent abuses and dictatorship by force) and even Commerce (to prevent Plutocracy and a culture of greed, also innovation and comeptitiveness destroying monopolies) to ensure that any decadence would not affect the runnning of the state. The hospitality of the Chinese can be thoroughly seen at banquets. More often than not, communication between people is sublimed during the process of toasting. When a Chinese makes a toast to someone, he often hopes the person to drink more so that his hospitality is delivered. The more the guest drinks, the happier the host will be; if the guest declines to drink, the host may feel loss of face. Therefore, in order to urge guests to drink, multiple means are adopted in China. Chinese wine sets have a long history and come in a wide array of shapes and sizes. In terms of material, there are pottery, bronze, porcelain, jade, glass wine sets and those made with other materials. The ‘zun’ translucent jade/bronze tripod form holders for porcelain vessels are particularly good collector’s commision item and typify the height of. Pottery wine sets are China’s earliest wine utensils found so far. These sets were extremely popular in the Painted Pottery Culture Period of the Neolithic Age. They were widely used in later ages, especially among the laboring people at the foot of the social ladder. 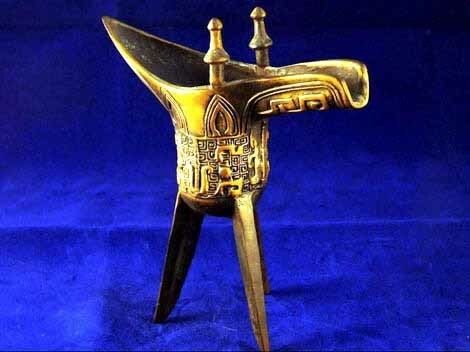 The casting of bronze wine sets started in the Xia Dynasty and became prevailing in the Shang and Zhou Dynasties as well as in the Spring and Autumn and the Warring States Periods. Among these wine sets, the ones modeled after the shapes of animals in nature reflected people’s wish for beautiful things and luck as well as the praying to divinities and auspicious animals for protection. Such sets include tiger, goat, ox and elephant-shaped utensils, etc. Porcelain wine sets have the highest artistic value, such as the Ming and Qing Dynasty blue-and-white porcelain wine sets painted with landscape, flowers, birds, human figures and stories, giving a sense of beauty and cultural taste to the drinkers in the drinking process. Jade wine sets are an indication of ancient people’s social positions. The nine-dragon jade cup of the Qing Dynasty is ingeniously designed, with nine coiling dragons carved on the cup. The tails of the nine dragons are intertwined with one another. There are small holes at the bottom of the cup leading to the nine tails, so when the cup is filled with wine, the nine tails are also filled up. If an excessive amount of wine is poured in, the wine will naturally stream down, avoiding overdrinking. Chinese wine sets are elegant and in good taste, with exquisite adornment. Holding the cup, the drinkers are usually overwhelmed with aesthetic feelings, experiencing the cultural and artistic charm of the utensil. In ancient China, wine sets were also part of the ceremonial system. There was a stringent hierarchy system, under which people of different statuses and positions were supposed to use different wine sets. All types of Chinese wine sets serve as a mirror of ancient Chinese culture. Drunken Boxing is a style of boxing that imitates a drunkard in its movements, involving both offensive and defensive skills. The striking features of the boxing are its fast speed and unpredictable changes in beating the opponent. It is also known for its unique appreciating, health-boosting and practical values. The major postures include beating, pushing, throwing, rolling, leaping and jumping. While retaining the beauty of body art, all the postures are practical fighting skills. The boxing has a fairly high requirement on the practitioner in terms of the person’s flexibility in the waist, legs and joints as well as the functions of internal organs, willpower and moral integrity etc. In addition, the performance of the boxing is supposed to give a straight, light and graceful feel. The point was to let the alcohol infuse the lower ‘chakras’ wiith energy that could amplify the qi behind the punch, while keeping the upper energy channels close, the main strain on the physical system, would be on the closure/ipening meridiens. This takes many years to acclimatize, and an alcohol augmented punch can be ‘brick breaking’. ‘bone crushing’ or ’tile piercing’ (typically ‘2 finger punch’) lethal. Of course, seratonin inducing narcotics aside, other classes of medicinal or nootropic herb enhanced liquors have enjoyed the fame of “the best panacea of all” and tends to the mixture of traditional Chinese medicine and distillate spirits or rice wine which can be conveniently prepared. It is stable in nature, safe and effective. Alcohol a fine semi-polar organic solvent that can easily dissolve all active ingredients in drugs. Thus the drugs and liquor can be complementary to each other,fully enhancing the efficacy of medicine and the curative effect. Other organic substances (not necessarily Cinnabar) have been experimented with by the grandmasters, and of those who understand the ‘impressions’ or ‘dents’ left by this particular esoteric class of ‘Qi Practicioner’ are able to ‘rip the ether’ and cause ripples through reality for hundreds or even thousands of years. The headquarters of the Confucius Institute and Lee Kum Kee, a Hong Kong-based food company, signed a memorandum of cooperation at the Beijing Language and Culture University to carry forward Chinese food culture on May 24. The program will enable foreigners taste “China on the tip of tongue” while promoting the spread of Chinese Language. According to the memorandum, both parties will work together to write the Chinese food culture textbook to enrich Confucius Institute courses, establish a food culture experience center, send a professional chef to participate in the characteristic teaching of Confucius Institute, to make Chinese teaching and Chinese food culture more and more popular in the world. The project will also provide strong support to the volunteers who teach Chinese language at Confucius Institute. What is the state banquet? The state banquet is the formal banquet for entertaining the head of state or head of government. The state banquet is mysterious to ordinary people, especially China’s state banquet. China’s state banquet is generally set up in the Great Hall of the People. The banquet hall here can hold 5000 people at the same time. The dish of China’s state banquet has gathered the cooking style all over China. For the taste suitable for the presidents of various countries, several generations of cooks improve the dish of state banquet meticulously. There are very harsh hygienic requirements in China’s state banquet, for example a cook should change 20 pairs of gloves to cook a dish, and washing hands must pass six procedures. According to Traditional Chinese Medicine (TCM), the world is a harmonious and holistic entity where all living beings are viewed in relation to the surrounding environment. Since ancient times, the Chinese have tried to explain different complicated phenomena by creating yin yang or the five elements theories. Man is part of the holistic entity, and takes his cue from nature. He is influenced directly and indirectly by changes in weather and needs to make corresponding physiological and pathological responses. For example, a change of season causes the rate, rhythm, volume and tension of the pulse to vary. The pulse tends to be taut in spring, full in summer, floating in autumn, and sunken in winter. TCM physicians will take this into account when distinguishing the abnormal pulse from the normal. The occurrence, development and change in the pattern of many diseases are seasonal such as wenbing occurring in spring, sun strokes in summer, dryness-related symptoms in autumn, and cold stroke syndromes in winter. 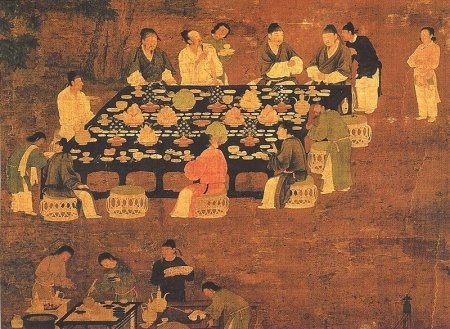 Published in 1330AD, an illustration of Yinshan Zhengyao (Important Principles of Food and Drink) states that spring is appropriate to eat wheat. However, we can take active measures to prevent disease and maintain good health. One common method is to consume different foods according to the season. The Chinese widely believe that we are what we eat, and most dietary guidelines follow on from nature. According to TCM philosophies, if we imbibe seasonal foods that are similar in nature to the external environment, we remain in harmony with the environment, adapt better to changes in season and stay healthy. The basic applying principle is “nourishing yang in spring and summer time, and nourishing yin in autumn and winter time.” The ancient Chinese realized that in accordance with seasonal changes, yang qi tends to flow outwards and occupies the body surface in spring and summer and therefore, the innards get relatively depleted of yang qi and need replenishing. At the same time, the weather in autumn and winter is cold and dry, and it is important to keep warm and prevent dryness. Through the methods of replenishing yin and nourishing dryness, TCM believes it is a way to build up energy and prepare for the coming seasons. As a literary classic, the Dream of the Red Chamber not only presents numerous vivid artistic figures, but also proposes brilliant suggestions concerning food, drink and other respects in health preserving. Health Preserving through Tea Laojunmei. Laojunmei is the favorite health-preserving tea of Jia Zheng’s mother. As one type of silver-needle tea, it comes from Junshan Mountain in Dongting Lake of Hunan Province. With a bright color and fragrant taste, Laojunmei not only preserves one’s health, but also cultivates one’s character. Therefore, it becomes Matron Jia’s favorite health-preserving tea. The Daughter’s Tea. The Daughter’s Tea is also called Pu’er Tea. In the 63rd chapter of the Dream of the Red Chamber, Baoyu feels uncomfortable after he has some noodles. Then he has some Pu’er Tea, which instantly improves his appetite. In addition, the tea is also effective in stimulating the menstrual flow. Liu’an Tea. It is Jia Baoyu’s favorite health-preserving tea. Kuding tea or Ligustrum purpurascens, commonly known as Chading, Fuding tea and Gaolu tea, is a particularly bitter-tasting Chinese tea produced mainly in the provinces of Guandong and Fujian. It is one of the most famous types of tea in Chinese history. According to Compendium of Materia Medica (Bencao Gangmu), the medicinal properties associated with Kuding tea include its ability to disperse wind-heat, clear the head and the eyes, alleviate thirst, invigorate digestion, keep up the spirits, resolve toxin, and reduce inflammation as well as lower blood pressure and blood lipids. Kuding tea contains more than 200 elements including Kuding saponins, amino acids, vitamin C, polyphenols, flavonoids, caffeine, protein, etc. The finished product features an aromatic and bitter taste at first and then a slightly sweet and cool taste, as well as many medical functions such as dispersing heat and preventing sunstroke, clearing the eyes, benefiting the brain, alleviating thirst, increasing the discharge of urine, strengthening the heart, relieving the cough, lowering blood pressure, reducing weight, preventing cancers, slowing aging, and enhancing blood circulation. Therefore it is usually dubbed as “healthy tea”, “beauty care tea”, “slimming tea”, “anti-hypertensive tea”, and “longevity tea”. The leaves of Kuding tea are 1.5 to 2 times larger than those of ordinary tea. They are oval, thick, leather-like and hairless. The dark green fresh leaves are particularly radiant. The tea, made of tender buds, looks thick, curled and hairless. Genuine Kuding tea tastes bitter at first and then slightly sweet, but never acerb, spicy, smelly, sour or others; it can be infused several times. Otherwise, it is fake and shoddy. One kilo of Kuding tea made of tender leaves can be brewed with 150 ml water. The tea tastes strongly fragrant even after it has been brewed for 8 to 10 times, which far outshines the ordinary tea. Matriarchs of old families had her own ways to maintain her beauty even at an old age. Some keep the habit of having intricately woven strands of ginseng and angelica in their mouths to nourish their aging bodies, or had secret ointments or special diets from rare substances like pearl powder. According to historical records, special lymph node stimulating taiji regimens were used by many female Chinese aristocrats and nobility of the day. Chinese date or jujube, has been listed in the five important fruits, namely, peach, plum, waxberry, apricot and red date, since ancient times. It has a long history. According to historical statistics, the red date is a special species with a long tradition and a high reputation in its birthplace China. Archeologists have found the fossil of a date core in the cultural site of Feiligang, Xinzheng, which is a testament to its 8000-plus-year history of production in China. As early as the Western Zhou Dynasty, fermented red dates were used to make red date wine, which was served as a tribute or used to treat guests and friends. In the remote antiquity, people had found that red dates could supplement nutrition and improve health conditions. Han Feizi recorded how the Qin State used red dates and chestnuts to relieve famines. That explains why the folks have been regarded the red date as one of the major crops. The medical properties of the red dates were found and recorded quite early in history. For example, starting from Shengnong’s Classic of Materia Medica (Shennong Bencao Jing), medical works from the succeeding dynasties also included relevant records and increasingly deepened understandings of their abilities to preserve health and cure diseases. Up till now, the red dates have been regarded as an important tonic. According to Compendium of Materia Medica (Bencao Gangmu) written by Li Shizhen, the red dates are sweet and warm-natured; they can nourish the middle warmer and replenish qi, nourish the blood and alleviate thirst; they can be used to cure diseases such as spleen hypofunction, poor appetite and diabetes, qi-blood deficiency, etc. If eaten regularly, they can strengthen the body, and cure diseases such as neurasthenic, imbalance of the spleen and the stomach, indigestion, cough, anemia and over thinness. In particular, they are effective to preserve the liver and prevent cancers. There is a saying, “Three dates a day keeps wrinkles away.” Now, the red dates also serve as one of the major dry fruit ingredients in Chinese cuisines. In about the first century AD, the red dates were introduced to the Mediterranean and West Europe through Syria and in the 19th century to North America from Europe. Xinzheng dates from Xinzheng, Henan, enjoy the reputation that “Xinzheng dates taste as sweet as honey”. Yellow River dates from Zaolinping, Suide, Shaanxi feature sweet, soft and savory pulp and are known as “sapodilla plum”. Gold-thread dates from Leling, Shandong and Cangzhou, Hebei are coreless and rich in sugar; threads can be drawn out if the date is broken off. Winter dates from Zhanhua, Shandong have a savory taste. Since the dates are big and get ripe in winter, they are also called apple dates, frozen dates and sugar candy dates. It is a rare variety of red dates that gets ripe relatively later than others; the fresh fruits are ready to eat. Tremella fuciformis, also known as white fungus, snow fungus or silver mushroom, is a type of jelly fungus, which belongs to the genus Tremella, the family Tremellaceae, the kingdom Funji. Highly nutritious, snow fungus contains protein, fat and various amino acids, minerals and glycogen. Altogether 17 kinds of amino acids are included in the protein of snow fungus, and three fourth of the amino acids required by human body can be supplied by it. Snow fungus is rich in various minerals such as calcium, phosphorus, iron, potassium, sodium, magnesium, and sulfur, among which calcium and iron take the largest proportion. There are 643 milligram calcium and 30.4 milligram in per 100 gram of snow fungus. In addition, the snow fungus also contains various kinds of glycogen such as trehalose, pentosan, and mannitol. Highly nutritious, it is a high-quality tonic that can keep the body fit and vigorous. It is often used to make sweet dessert soup. In daily life, it can also be added when you are cooking porridge or pork. In this way, you can enjoy the food and strengthen the body at the same time. During the Ming and Yuan period, several schools of thought evolved attributing disease to different factors, and advocating contrasting approaches to treatment. This was in addition to the Mongol physicians who held their own set of beliefs. Nevertheless, a number of physicians living at this time made a significant contribution to medical development. Yin Shan Zheng Yao,or Principles of Correct Diet(1330) written by Hu Sihui. Liu Wansu (1120-1200), or Master Hejian as his students called him, is credited with founding the Hejian School. A native of Hebei province, he three times turned down an offer from the Jin emperor to practice medicine for the palace and chose instead to practice medicine for the people. He played a significant role in the development of Chinese medicine and is famous for writing a number of works based on the medical classic the Suwen (The Book of Plain Questions). Liu Wansu’s belief centered on the theory of the five movements (yun) and six influences (qi). He placed particular importance on the elements of fire and heat, and tended to prescribe herbs that have cold properties to treat disease arising from these influences.This is also referred to as the “School of cooling” for the reason. Examples of his frequently prescribed herbs are cassia twig,rehmannia root, ephedra and mint. Zhang Congzheng (1150-1228) had an innovative approach to medical treatment and insisted that the medicines of yesterday could not combat present-day illnesses. He was a military physician and wrote a book called Rumen Shiqin (Therapies for Scholars) based on his observations and research. However, he is best known for his theory of the “six doors and three methods.” The six doors are the six influences (wind, summer heat, dampness, fire, dryness and cold) that Liu Wansu observed, and the three methods refer to therapeutic regimens used to induce sweating, vomiting and purging, that Zhang resorted to frequently. He thought that evil influences were derived from the heavens, the earth and man’s behavior (e.g. what he ate). In order to effect a cure, the evil influences had to be expelled. Zhang Yuansu (1151-1234) was the founder of the Yishui School, named after his native district in Hebei province. According to his book Yixue Qiyuan (Explanation of Medicine) published in 1186, “the prescriptions of the past were not appropriate for the illnesses of today.” However, Zhang created a unique mosaic of his own practices and beliefs based on the teachings of his predecessors in medical classics such as the Huangdi Neijing (The Yellow Emperor’s Classic of Internal Medicine), the Shanghanlun (Treatise on Febrile Diseases) and the Zongzangjing . Zhang Yuansu was known for his idea that medicine has specific effects on particular meridians. He thought illness occurred when there was an imbalance of zang and fu organs. By understanding the pathological conditions of the organs, a diagnosis could be made and appropriate therapy could be chosen. Li Gao (1180-1251) had been fascinated by medicine since childhood. Li, who came from a wealthy family, is known for his concern about how lifestyle affects the body’s organs. In his most important work, Piweilun (Treatise on the Spleen and Stomach), he stated that if the spleen and the stomach were injured by an inappropriate lifestyle, vitality would decline and illness would result from an imbalance of qi in these organs. He was a strong believer that a person’s emotions, including anger, joy, sadness and grief, could heavily influence the qi, and that illness was caused by a society marred by poverty, war and oppression. He was a proponent of the use of several tonics and especially recommended ginseng. From Zhejing province, Zhu Zhenheng (1281-1358) was also known as Master Danxi. He undertook a systematic study of medicine and his work, Gezhi Yulun (Theories of In -depth Research), studies the theory of internal fire or heat during physiological and pathological change in the body. Minister-fire is a kind of yang energy that is a vital force necessary for the body to function. It mainly exists in the liver and kidneys. It cooperates with the second fire, “master-fire” or heart-fire, to promote the function of the organs. In illness, Zhu Zhenheng thought that the body’s yang was usually in excess causing yin to become deficient. As a result, “fire” in the body, which is normally produced by movement, was increased during the course of disease and was thought to be due to disharmony of the minister-fire. As a yang excess was thought to be harmful because it consumes yin, nourishing the yin and quenching the fire were the chief measures of treatment. Zhu Zhenheng strongly recommended appropriate diet and sexual activities in order to preserve the yin. This theory of “minister fire” is still used today in TCM. Hu Sihui, a Mongol, is credited for being a distinguished dietician. He wrote Yinshan Zhengyao (Important Principles of Food and Drink) in 1330 and was a proponent of a balanced diet. He especially focused on the importance of moderation and championed the eating in moderation rule. In addition, Hu’s book offered a list of 230 cereals, meat, fish, shellfish, fruits and vegetables with a description of their nutritional benefits. For example, Hu said that eating too many apples caused distension and too many oranges could harm the liver; that dog meat was salty, not too overpowering, non-toxic and calmed the zang organs; and that grapes sustain energy and strengthen character. Other practitioners during the Jin-Yuan period included Ge Keijiu (1305-52) who wrote a treatise, the Shiyao Shenshu (1348), on tuberculosis and Zeng Shirong whose book Houyou Xinshu (1294) expanded the study of pediatrics from the Song Dynasty. 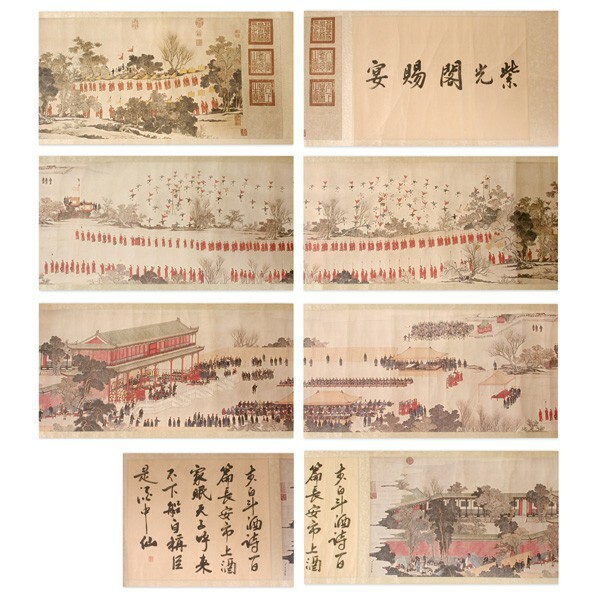 http://www.cultural-china.com is a non-profit cultural website initiated by Shanghai News and Press Bureau and undertaken by Hongtu Real Estate Development Company, one member of the Long River Foreign Exchange Foundation. http://www.cultural-china.com’s vision is to popularize Chinese cultures throughout the world, promote the cultural exchanges between China and other countries, and let the world know more about China through the Internet based on the integration of resources of the Shanghai and national publication industry. http://www.cultural-china.com firmly believes that nowadays people of all countries and areas in the world are in a sense neighbors living in a global village, for whom mutual understanding is vital as well as meaningful for the peaceful coexistence. It is with this belief that we hope to introduce to you this ancient yet young country: its vast territory, beautiful landscape, legendary history, unique and splendid arts, colorful folk traditions, which will help you understand her yesterday and today from various aspects. Cultural-china is dedicated in the promotion and familiarization of the Chinese culture in a global scale. http://www.cultural-china.com serves the Chinese culture’s “Going Global” national strategy while bearing introducing the Chinese culture to the world arena; promote the cultural exchange and communication based on the internet platform; provide information and marketing service related to the Chinese cultural industry as our major objectives. To let the world to know more about the real and modern China and the Chinese culture is our one and only mission.